A group of us wanted to eat and hang out and one of us decided that we should eat at Bottles, which is a very peculiar name for a Mexican restaurant. I mean, it sounds like a club. Anyway, we were supposed to meet at 4 pm but we started trooping in at about 4:45; we seriously need to work on our timing. Fast forward about 30 minutes later, most of us had arrived and we started snacking on the complimentary snacks served; some tortilla-looking chips and salsa. Okay, they were most probably tortilla chips BUT do you know those fibrous looking boards that are/were used in bed frames? Mattresses are/were usually placed on them? Yes? No? Well, the chips kinda tasted like I imagine the boards would taste. Some people liked the chips though. The salsa on the other hand, was good. We ordered drinks while we waited for the others to arrive leading to a lot of chapman on the table. For those of you who don’t know, chapman is a ‘fruit’ (using this word very lightly) punch with bitters added in. It is a favourite drink of Nigerians, young and old. Chips and Salsa. That’s Chapman in the background by the way. After introductions were made and we had chatted some more, we decided to place our orders. Club sandwiches, chicken wings, fajitas and tacos were ordered. The rest of the party arrived about 20 minutes after the rest of us had ordered and they placed their orders soon after. Their orders included more fajitas and club sandwiches with a safe order of grilled fish and chips. It’s a good thing we were a big party because our meals did not arrive for over 45 minutes, give or take. Chatting helped us forget about the passing time. Jokes also began about whether the chicken to be used in our meals was just coming from the farm. Then they brought the tortillas for those who had ordered fajitas in one plate and used one of their fork’s to divide it among them. How do these people still have customers?? As for taste, my taco was just okay. 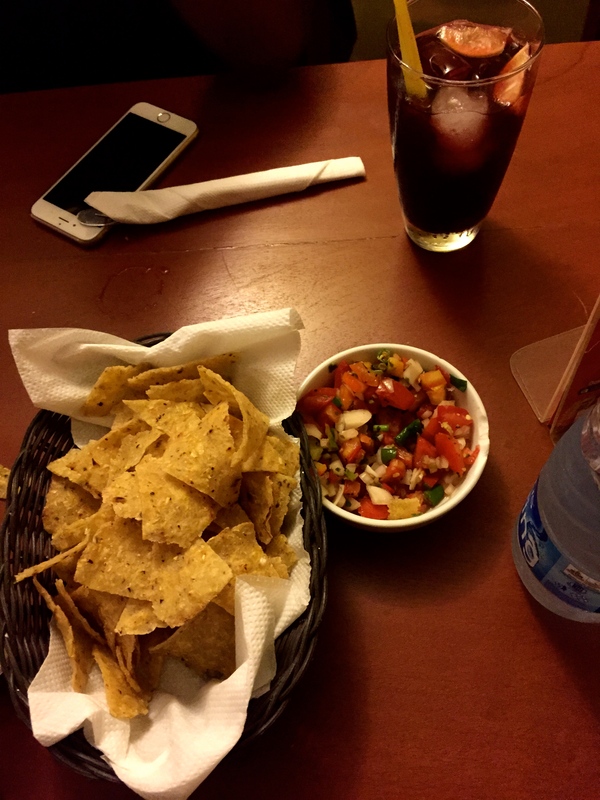 The Mexican rice tasted like Jollof rice but I enjoyed the familiarity. The refried beans tasted like it had been reheated. There was nothing particularly spectacular about my order. The club sandwich, not pictured, was said to be very nice. 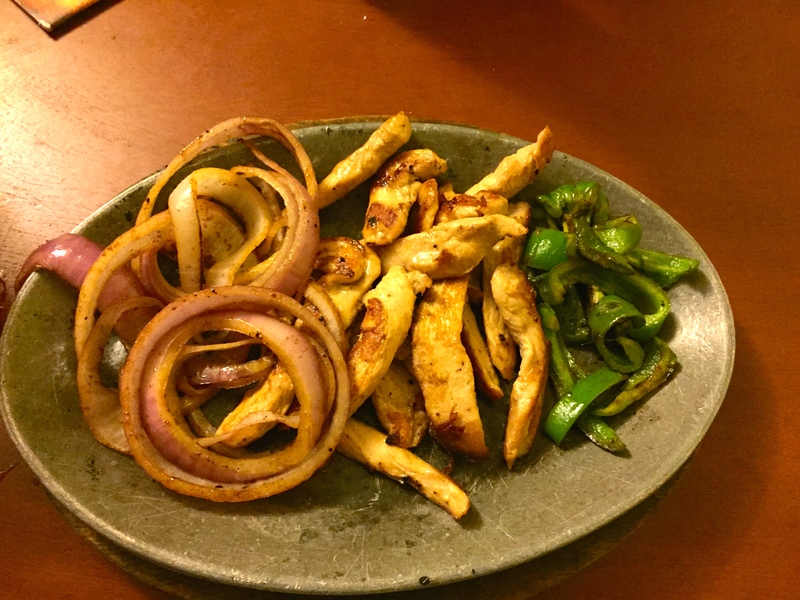 The chicken fajita was said to be nice too; the chicken was nicely seasoned and spicy. Points to you for those dishes, Bottles. 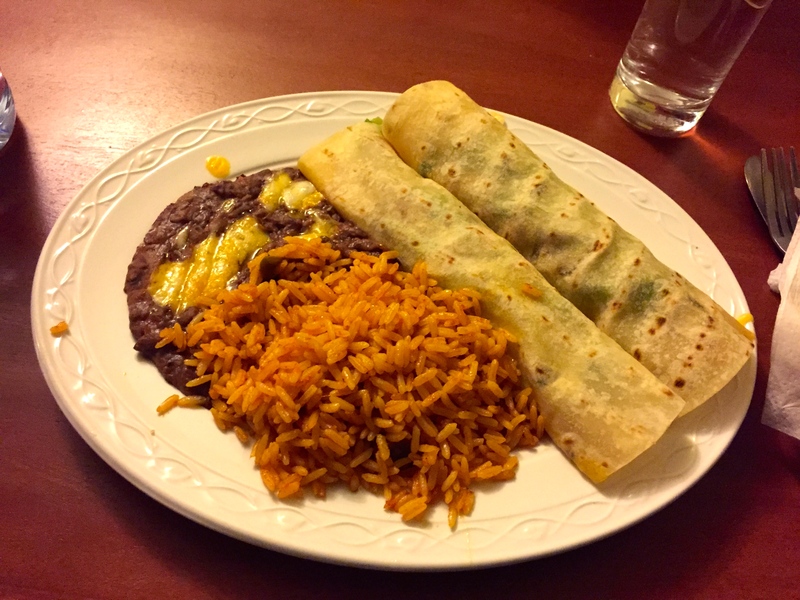 Shrimp tacos, Refried Beans and Mexican Rice. A big plus for Bottles is that their portions are big. I had to take one taco away and I had it for breakfast the next day. They probably have other meals on their menu that are nice but that was not the day I tasted one of those meals. Then they brought the bill. Can someone say ridiculous? Because that’s what the bill was. The VAT, service charge and consumption tax (whatever that is) came to over N8000! The VAT and consumption tax were both 10% while the service charge was 15%. Due to our less than stellar service, we decided not to pay the service charge. When this was made clear to the head waiter, he said he would call the manager. The manager never showed up. I’m not sure how soon any of us will be re-visiting Bottles. Bottles is located at No. 8, Imam Agusto Close, Lagos. I must add that it’s not very easy to find; there is not one sign leading to it. Thank God for GPS. I also just found out that it’s over a decade old! I know our customer service can be really bad in Nigeria but surely they can’t have survived for this long with such bad service? Anything can survive if you keep funding it! Trust me, or just look at government! Looool the bit at the end about service charge was funny! After all the half and half service. Now, why would someone who ordered refried beans complain that it was reheated? Aren’t you thankful that it was at least re – something?